Large premium shopper with folding handles in natural wicker, with a pink gingham cotton lining with matching tie bows. Measurements are 41cm wide x 33cm deep and 18cm high to rim of basket. 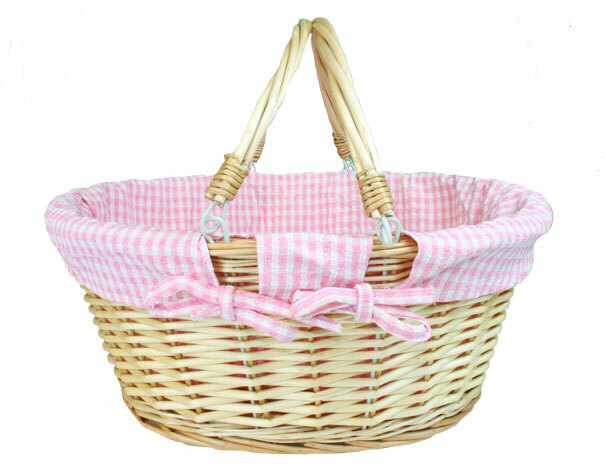 This basket is available without a cotton liner under product code 77-6205.